Contains significant sections contrary to faith or morals. Contains some lurid passages, or presents a general ideological framework that could confuse those without much Christian formation. Contains several lurid passages, or presents an ideological framework that is contrary or foreign to Christian values. Explicitly contradicts Catholic faith or morals, or is directed against the Church and its institutions. 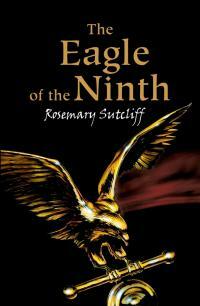 A historical novel set in Imperial Rome between the 2nd and 3rd centuries. It begins on the moment when the ninth Roman legion crosses Hadrian's wall and invades Caledonia (the territories corresponding to present-day Scotland), and disappeared. There was never any news of what happened to this faction of the army. Years later, a young centurion must withdraw from the army for war wounds, and faces the challenge of discovering the fate of this legion where his father had served, and rescue the eagle. He travels through the barbarian clans of the area disguised as a doctor and helped by a liberated Breton. He comes into contact with the customs of these peoples, their gods, their rituals, and the life in general of the Scots. But finding the eagle is not as easy as he thought at first. Excellent book of adventures, especially aimed at young people, which describes very well the environment, the characters, and highlights the virtues of the protagonists, such as loyalty, friendship and acceptance of people over differences of race or nation.